Sikander Singh North has always had it easy - until he joined the crew of the Aquilan Commonwealth starship CSS Hector. As the ship's new gunnery officer and only Kashmiri, he must constantly prove himself better than his Aquilan crewmates, even if he has to use his fists. 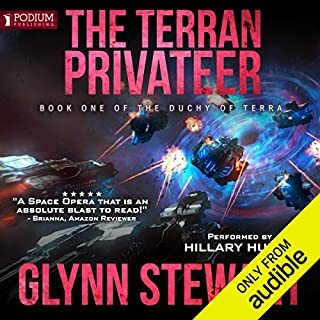 When the Hector is called to help with a planetary uprising, he'll have to earn his unit's respect, find who's arming the rebels, and deal with the headstrong daughter of the colonial ruler - all while dodging bullets. Tom Thrush thinks basic officer training is tough until he joins the frigate Kestrel and finds out what tough really means. The crew resents him. The first officer is actively hostile. As the ship hunts pirates in deep space, Tom struggles to fit in and wonders if things can get any worse. They can. A devastating attack leaves the ship crippled with half the crew dead or dying. The senior officers are wiped out, leaving a terrified sublieutenant in the last place he wants to be. It’s good a good set up book. Alex and his three friends drop out of college after discovering a revolutionary way to travel into space using a small amount of energy. Their world-changing technology is sought by the government, and they are forced to go into hiding while they perfect it. Their adventures into orbit and beyond become a global sensation. 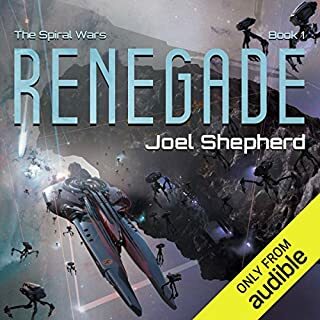 As they navigate fame, family, and those who are determined to stop them, little do they know that their little startup could have galactic consequences once they discover a derelict spaceship. Was this written by a 6th grader? High school senior Tanner Malone has bombed the Test, a high-stakes exam that establishes how much he owes for his corporate-funded education. Burdened by a crushing debt that rules out college, Tanner enlists in the navy of Archangel, a star system with four terraformed worlds. But he hasn't factored in the space pirates. They say it's not the fall that kills you. For Josette Dupre, the Corps' first female airship captain, it might just be a bullet in the back. On top of patrolling the front lines, she must also contend with a crew who doubts her expertise, a new airship that is an untested deathtrap, and the foppish aristocrat Lord Bernat, a gambler and shameless flirt with the military know-how of a thimble. Bernat's own secret assignment is to catalog her every moment of weakness and indecision. 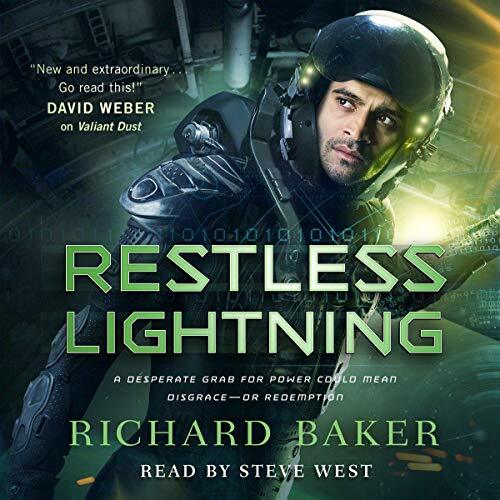 Richard Baker continues the adventures of Sikander North in Restless Lightning, the second audiobook in his new military science fiction series, Breaker of Empires, and sequel to Valiant Dust. 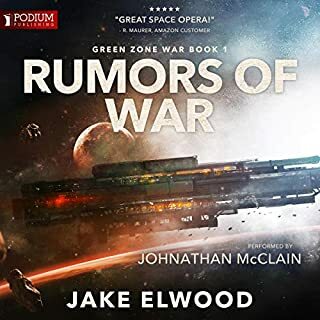 Lieutenant Sikander North has avoided an outright court martial and finds himself assigned to a remote outpost in the crumbling, alien Tzoru Empire - where the navy sends troublemakers to be forgotten. 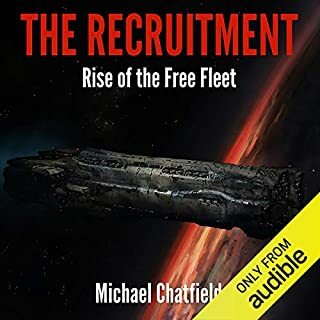 When Sikander finds himself in the middle of an alien uprising, he, once again, must do the impossible: smuggle an alien ambassador off-world, break a siege, and fight the irrational prejudice of his superior officers. The odds are against his success, and his choices could mean disgrace - or redemption. All around the World, baby! So, this is basically the expansion into China during the great game era. maybe some found this interesting or entertaining, but I found it yawning, boring and far too predictable. I enjoyed the first book of the series, but this book was extremely cliché, and I'm probably don't with the series. Just as I'm bored with the "Earth gets attacked out of the blue by aliens" stories that have littered the genre over the past 10 years, I find re-tooled historical adaptations to be boring. Best of luck to Baker in his Break of Empires series, but this book broke my interest. 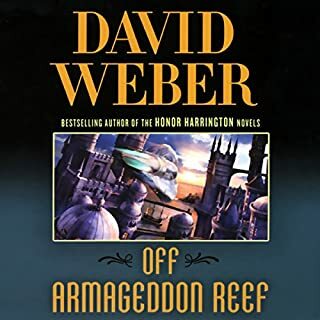 not what I was expecting at the start, almost a little slow, but in hindsight it matched the setting and the world, and then... well its action packed planetary combat and intrigue at its finest! Amazing reader, really made the story come to life. 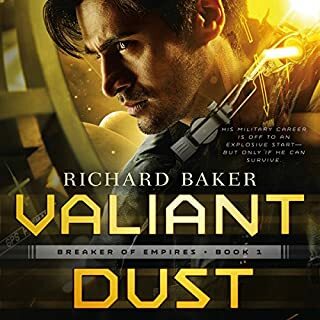 “Restless Lightning” and “Valiant Dust” use the same plot. The underlying conflict is essentially the same in both books. Bigotry, cultural insensitivity, etc... Then the MC fills a different role in the Navy and how he works with the Navy to bring a resolution to the conflict is different. Despite this I enjoyed the book. It was a pleasant distraction.